All the players of BondiBet casino are eligible for this weekly cashback. Cashback will only be awarded if you have not made any withdrawal or withdrawal request in the week. 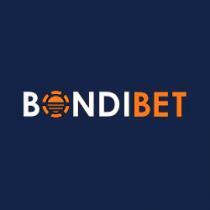 Login to your BondiBet casino account. Enjoy playing throughout the week. If you lose, 15% of the net losses incurred will be added back to your account on Monday. BondiBet casino knows that everyone loves free treats and thus this bonus comes with no wagering or tricky terms attached to it. Just play your favorite games and if you lose, 15% of the net losses incurred will be added back to your account in real cash! All the players automatically become a part of the loyalty cash back bonus once they sign up for an account at BondiBet casino. The cashback will be automatically added to the account of the players. All the players will get 15% cashback of the amount that they lose. The cashback is added to the account of all the eligible players on Monday as real cash. Players will be given cashback all the deposits that players make at this online casino and lose. Apart from BondiBet Casino bonuses & promotions, find other latest casino promotions ranging between No Deposit & Deposit Bonuses along with their bonus/promo codes here!